helen, i know I told you this before but here I go again. I love your blog colors. i think is so beautiful! Flowerdisco--you are so sweet!! Your comments always make me smile! love your blog. 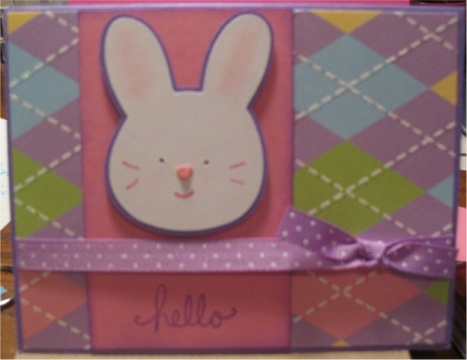 cute bunny card!